Two months ago, I created literally the best vegan cookies, and I did not immediately share the recipe. I know, I'm a jerk. Truly, I'm sorry. Although I think once you sink your teeth into these cookies, you'll forgive me. And while we're on the topic, I owe you yet another apology. 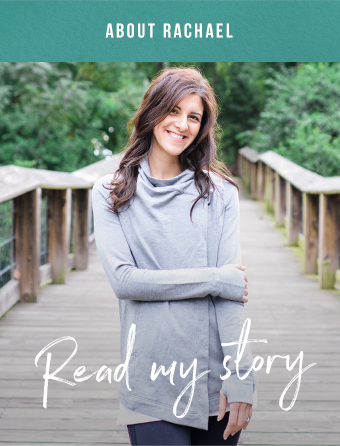 I realized a few days ago that the one year anniversary of this blog came and went without so much as a mention or a thank you to you lovely readers for your support over this past year. I'm not exactly the sentimental type, so anniversaries aren't my forte. One year, I forgot my own birthday. But you all definitely deserve a thank you, because this little internet baby has grown to mean a lot to me over the past year, and it would be around if it wasn't for you. A year and 10 days ago, I took a deep breath and hit the publish button on my very first post. I was terrified. It's a big thing to put your thoughts, opinions, and inability to correctly use affect/effect out there for the whole Internet to read, judge, and criticize. Committing to a huge project while working 40+ hours a week, I didn't know if I was biting off more than I could chew. And would anyone even read it? I wasn't trying to be the next Smitten Kitchen (I'm still not), I was just excited to create something. But I was still hoping for people other than my parents to read it. Watching my pageviews and subscribers grow each month is exciting. I must admit, my ego grows a bit when an article is featured or a recipe gets a lot of pins. But what really keeps me motivated and inspired is the kind feedback I've received from readers, through comments, emails, and even meeting a few of you in real life! So let's (belatedly) celebrate with these cookies! 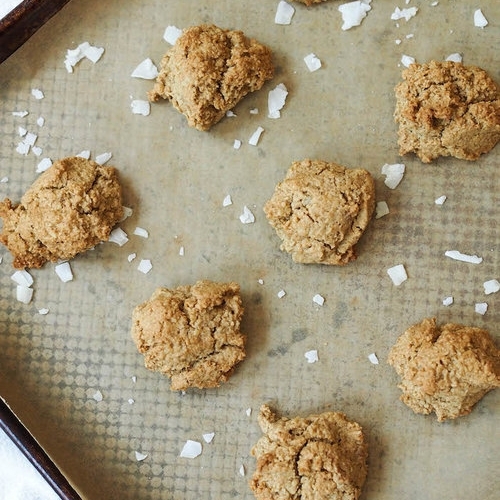 You might be a bit skeptical about whole grain, gluten free, and vegan cookies. I would be too. But these babies are legit delicious, with a soft texture and a ton of nutty flavor from the mix of oat flour and almond meal. Feel free to throw in whatever mixins you like. I used almonds, shredded coconut, dark chocolate and whole oats, but you could use about 2 cups anything you like - different nuts, cacao nibs, dried fruit, candy...literally anything! Transfer dough to a large bowl and stir in the remaining 1/2 cup oats, chocolate, coconut and almonds. Scoop ping pong sized balls of dough onto a baking sheet lined with parchment paper. Bake 12 minutes until lightly golden. Let cool on the baking sheet 10 minutes, then transfer to a cooling rack to continue cooling.